This night-cap is made of spotted muslin, and trimmed with lace and narrow satin ribbon. 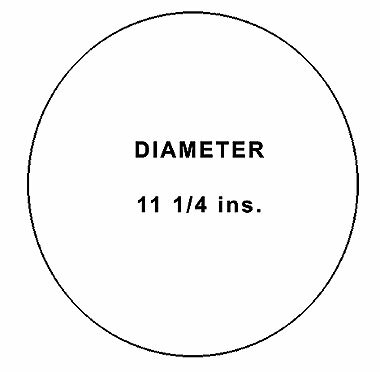 Fifteen inches of muslin, six yards of one inch wide lace, six yards of narrow satin ribbon, and three-quarters of a yard of one inch wide ribbon, will be required to make one cap. Cut out the crown the marked size of the pattern, and cut out the head-piece, allowing sufficient turnings for a broad hem down the front. This hem should be half an inch wide. Gather the crown from where the fullness commences (which is seen in the illustration). Run that and the head-piece together, letting the raw edge come on the right side, and then lay a very fine cording over the join.